This tutorial shows you 2 ways to encrypt Dropbox on Ubuntu 16.04/17.10. This will be very helpful for those who are worried about privacy and security when storing files on cloud storage providers. Experienced Linux user can set up their own cloud using NextCloud, but not everyone has the skill or time to manage a self-hosted cloud. When your Dropbox files are encrypted, no one can see them without the encrypting password. The first method uses a graphical tool for desktop users and the second uses a command line tool, which is suitable for servers. If you haven’t installed Dropbox on Ubuntu yet, please check out the following tutorials. These two tools can also be used to encrypt other cloud storages like Google Drive and NextCloud. I use Dropbox as an example. 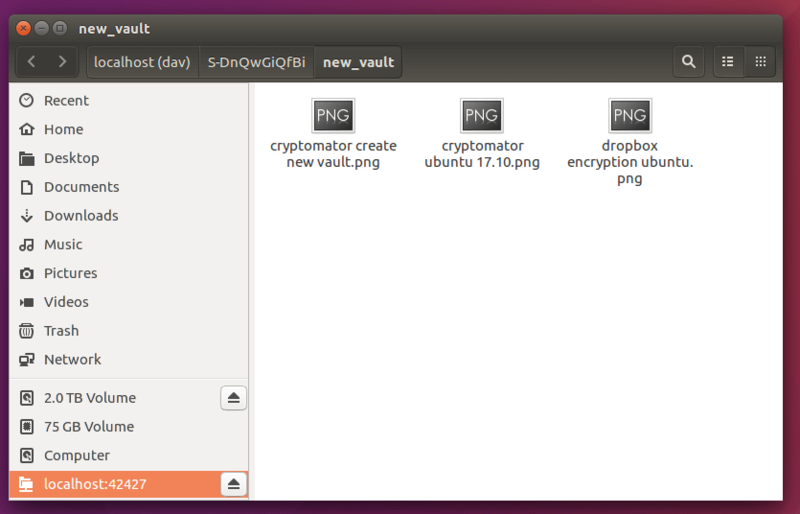 Cryptomator is a free, open-source and easy-to-use software for encrypting cloud storage. It uses client-side encryption, which means each file is encrypted on the user’s computer before sending to the cloud. File content, file name, file size and directory names will all be encrypted. It can run on Linux, Mac, Windows, Android and iOS. 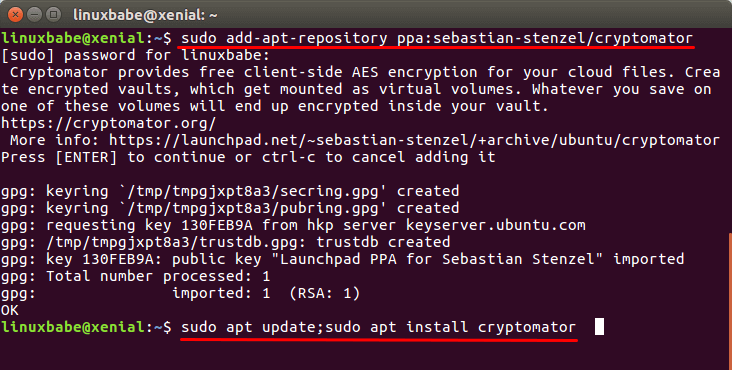 To install Cryptomator on Ubuntu 16.04 and Ubuntu 17.10, run the following 3 commands in terminal, which will install Cryptomator from the developer‘s PPA. Once installed, Cryptomator can be started from your application menu. Or you can start it from the command line. When you first start Cryptomator, there is no vault. A vault is basically a virtual hard drive. So we need to click the plus button at the bottom left and create a vault. A new window appears. 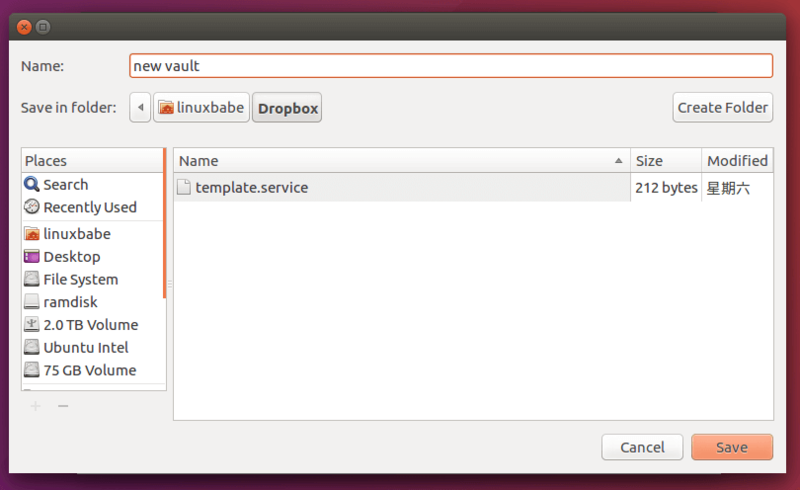 Give your vault a name and choose your Dropbox folder as the destination. 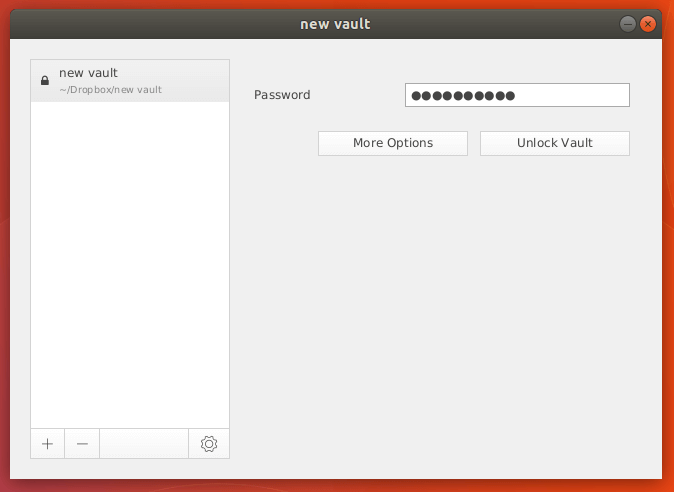 Next, set a password to protect your vault. Re-enter your password to unlock the vault. 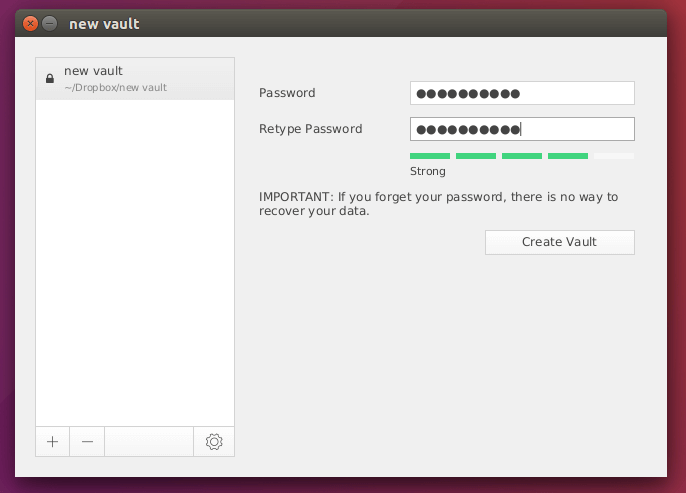 The vault will be mounted as a virtual hard drive (localhost:42427). Now you can put your files in the vault and they will be automatically encrypted on the background and then stored in your Dropbox folder, which is then synchronized to Dropbox servers. For example, I put 3 png files in the vault. Here is how they look like in Dropbox. Once your encrypted files are synchronized to Dropbox servers, you can lock your vault. Once it’s locked, the virtual hard drive disappears from your file manager, so no one can see the original files without password. 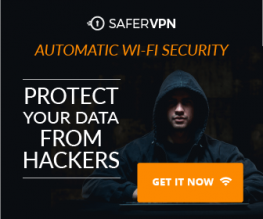 Install Dropbox and Cryptomator on the second computer. Wait for Dropbox to finish syncing. Then start Cryptomator on the second computer and select “Open Existing Vault“. 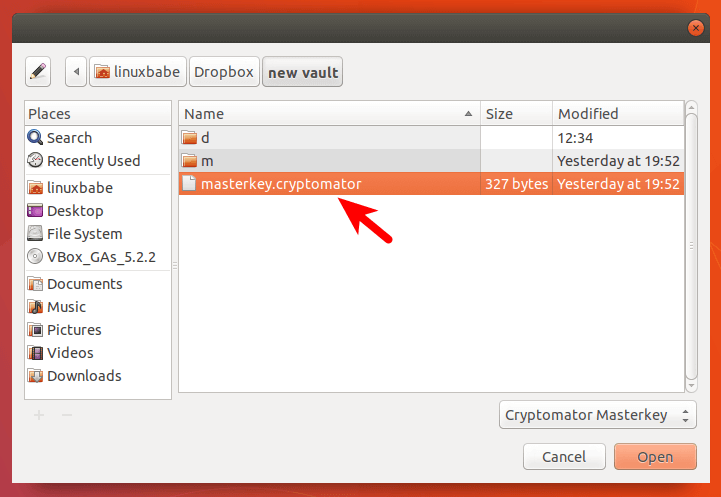 Navigate to the Dropbox folder and select the Cryptomator masterkey. The master key is encrypted with your vault password. 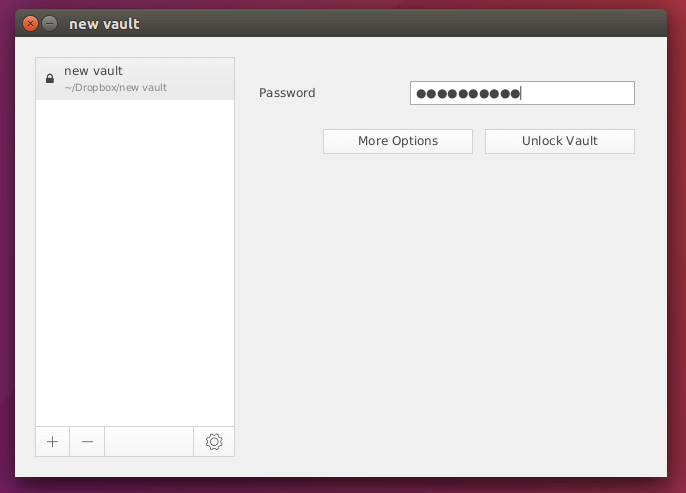 So now you need to enter your vault password to decrypt the key, which in turn will unlock the encrypted vault. 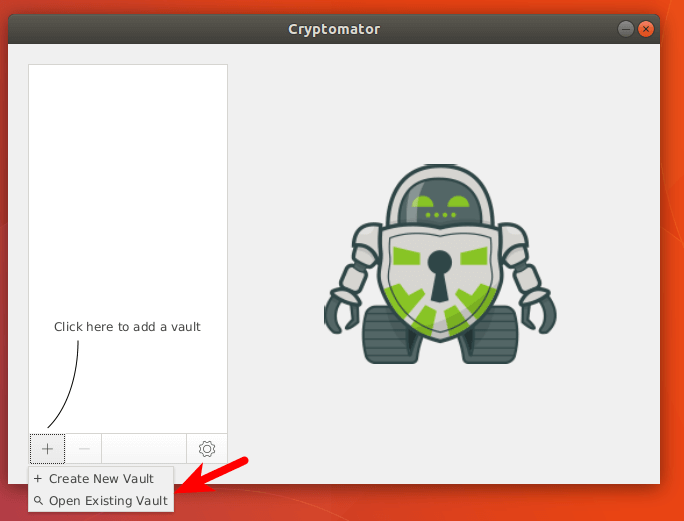 If you want to share encrypted files, then create a separate vault with a different password and let your family, friends or coworkers install Crypmator and then tell them the password. Currently there’s no command line version of Cryptomator. That’s where CryFS comes in. CryFS stands for cryptographic filesystem. It is a free, open-source encryption tool created specifically for cloud storage. It usage is very similar to Cryptomator and can encrypt file contents, file name, file size and directory structure. 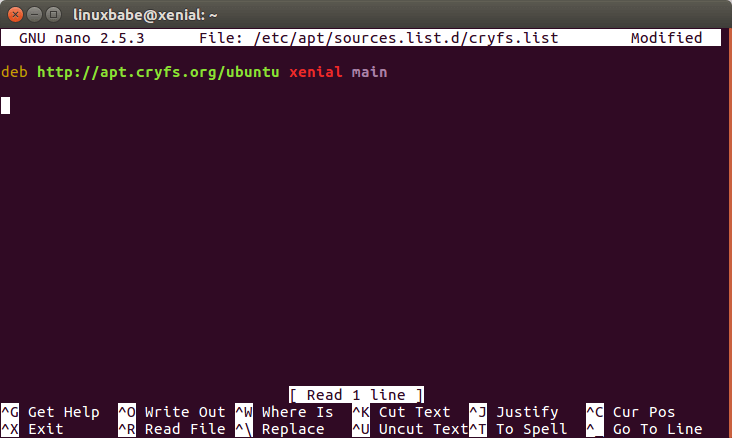 CryFS is included in Ubuntu repository since 17.04, so Ubuntu 17.04/17.10 users can install CryFS by running the following command in terminal. Ubuntu 16.04 users need to install CryFS from its repository. First, create a source list file for CryFS. Then add the following line into the file. Save and close the file. Next, download and import CryFS public key using the following command. Update package index and install CryFS. 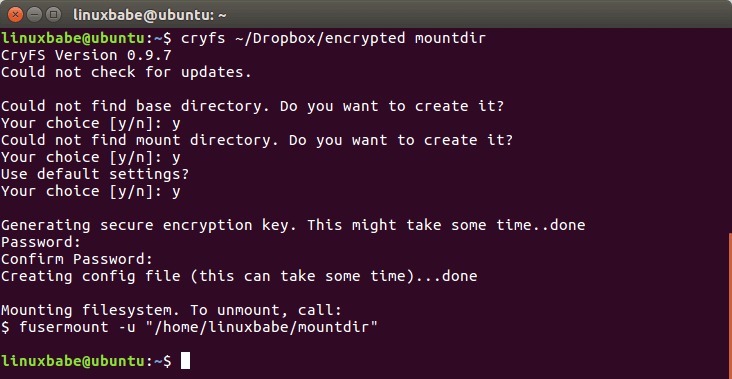 To create encrypted vault in Dropbox, run the following command. This will create two directories. ~/Dropbox/encrypted is where encrypted version of your files are stored. They will be synchronized by Dropbox. ~/mountdir is where plain files are stored. You will be asked to create a password. The file content, file name, file size and directory structure will be encrypted in Dropbox folder. To remount, run the following command and enter your password. Install Dropbox and CryFS on the second computer. Wait for Dropbox to finish syncing. Then mount the encrypted directory using the following command. You will need to enter your CryFS password. 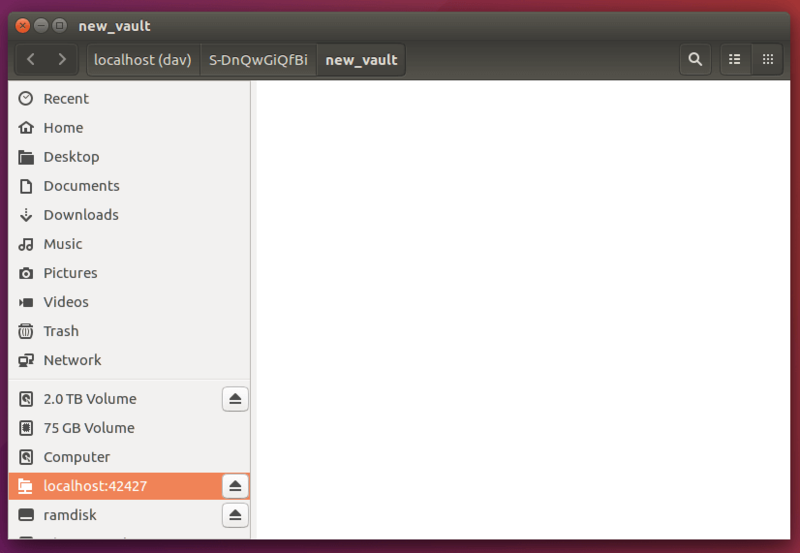 Now you can access files in ~/mountdir. That’s it! 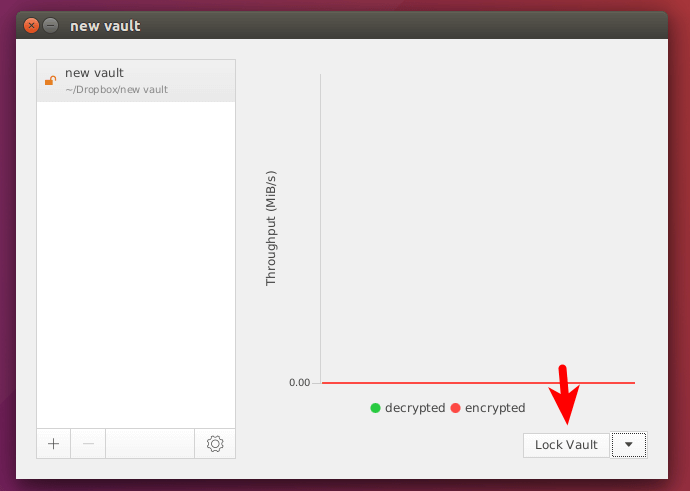 I hope this tutorial helped you encrypt Dropbox on Ubuntu using Cryptomator and CryFS. As always, if you found this post useful, then subscribe to our free newsletter.